Our Newport Decorator Centre on the Isle of Wight has been part of the Brewers family since 2009. Previously Day’s Colour Centre – a name still used by longer-standing customers – Day’s history tracks back more than 160 years. We offer the broadest range of wallpaper on the island and as well as all the usual trade and designer paints, we stock and source specialist coatings and finishes. We’re easily found on Riverway Industrial Estate, just off the A3020 Medina Way dual carriageway. There’s customer parking right outside and we can arrange local delivery for trade customers. 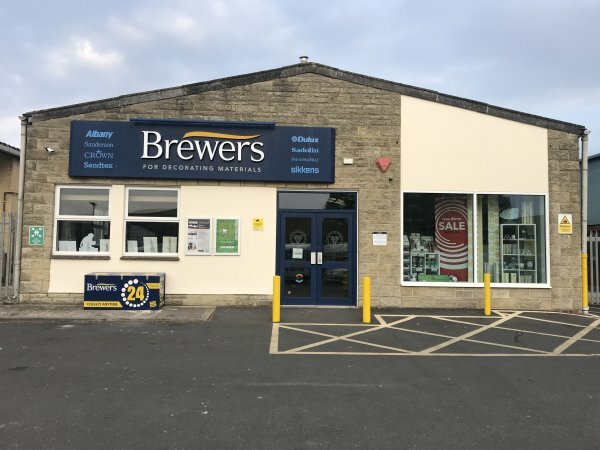 Top tip – we’re usually busier on Monday as regular customers come in to rib our Leeds United supporting manager about the weekend’s football results! Travelling down Riverway from Manners View we are on the left. Through the underpass of the A3020 bear left onto Riverway and we are on the left. 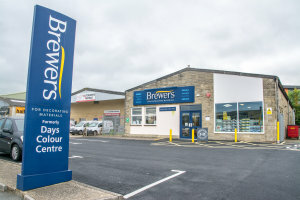 Our Newport Decorator Centre on the Isle of Wight has been part of the Brewers family since 2009.